Dr. Kaestner was raised in Houston where he resides with his wife Lauren and children Cole, Samuel, Caroline and Emily. 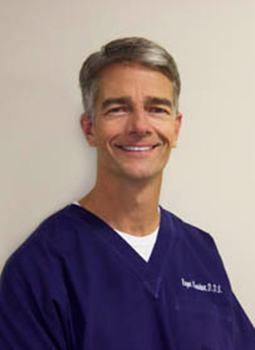 He received his Bachelor of Science degree in Geology in 1984 from Stephen F. Austin State University, and was awarded his dental degree with honors in restorative dentistry as well as recognition for working with the handicapped, from the University of Texas Dental Branch in Houston in 1991. Dr. Kaestner’s professional affiliations include the American Dental Association, the Texas Dental Association, the Houston District Dental Society, and the Academy of General Dentistry. Dr. Kaestner is also an active participant in the Seattle Study Club, and organization for professionals dedicated to advanced continuing education in dentistry. Dr. Kaestner enjoys cycling, waterskiing and sports car driving at various tracks in Texas. His children’s college pursuits also keep him on the move when not practicing Dentistry. Cole is at Texas A&M Galveston. Sam is graduating from Baylor University this May. Caroline attends North Texas State University. Emily will be playing soccer and attending the University of Oregon. Go Ducks!